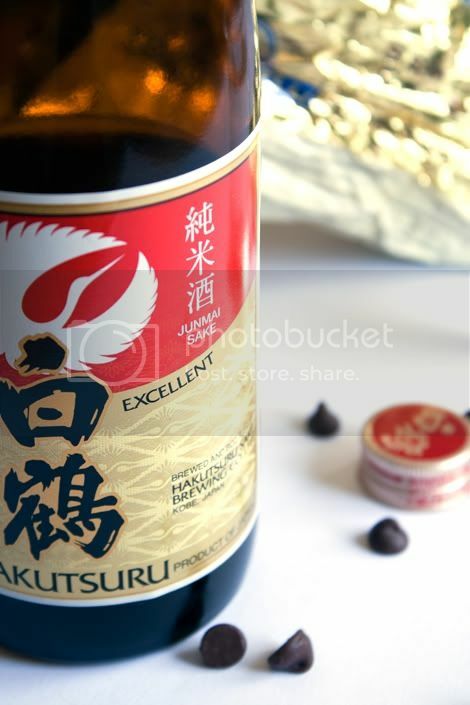 Sake + chocolate chips. That's right but you'll have to visit again next week to find out exactly what's going on here. Both ingredients were definitely combined in a recipe, is all I will mention at the moment. Why did I choose to show this particular brand of sake? Because it is available to everyone (it can be found in most liquor stores throughout the United States), and it is vegan friendly for those who are strict vegans. I had fun with the recipes today, doing my own thing. 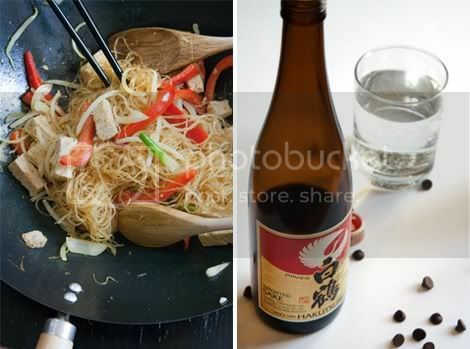 My personal three-ingredient challenge was chocolate chips, sake and mei fun noodles — these were all different things I had in the apartment and wanted to use together, somehow. I think I did pretty well but you can be the judge next week when I post the recipes. The noodles went into a vegan version of Singapore Mei Fun, using marinated tofu in place of meat; and I have to confess: the dish was so tasty, I ate it all myself as a late lunch. The ingredients are all incredibly fresh and light with the added kick of curry powder and ginger. I can't wait to share both recipes. But for now, I have two words: Sake Bombs. Have a great rest of the weekend and I'll catch up with all of you on Monday!